← Bowland Badass 2013 Entry List growing…….. The long, draggy, uppydowny journey from Abbeystead culminates in a dogleg left at the top of Procter Moss Road. Look up over your right shoulder as you beetle off down to the next valley. Do you see that squat, little tower up there on the side of that big hill? Yes, you’ll be going by there later. Meantime it’s best to enjoy yourself buzzing downwards. Once you cross the river its up Blea Tarn Hill hot on the heels of some maniac’s back wheel. Now you have to make the calculation that comes in every sportive ride, and it goes like this: I’m sure I can keep up with that geezer, but only if I bedeck my handlebar with my raw, lolling tongue as my rasping breaths cause tiny explosions of blood in my fragile lung tissues OR I can go at my own pace. So what to do? Push on hero! After all what’s the worse that could happen? 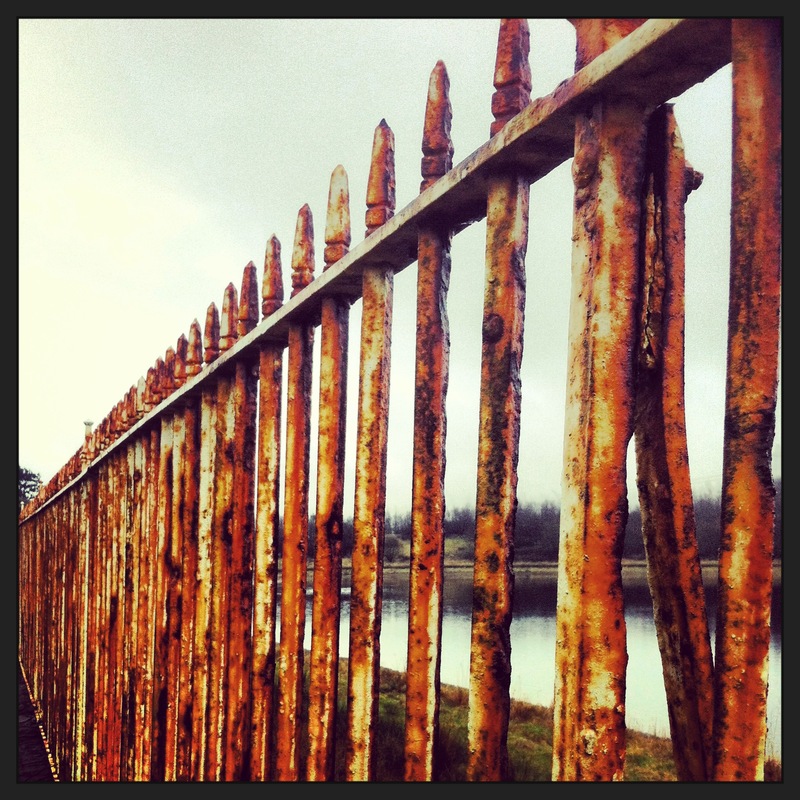 Look at the arty photo of the railings alongside Blea Tarn reservoir. This is what your ribs will feel like at the end of the day……. Stravasaddoinfopoint: Procter Moss to Cross Road (where you will turn right onto Little Fell Lane) is the relevant segment here (http://app.strava.com/segments/2216967). It is reasonably well-contested by a number of local, lead-legged Lancastrians, who use it as one of a number of returns to the city at the tail-end of hard training rides. However, we notice that 3 Badasses are in the top 10. This makes what we have said above especially relevant. Hard cases will be gunning it here. How hard are you? Posted on January 9, 2013, in Bowland Badass Climbs and tagged Blea Tarn, Blea Tarn Hill, Blea Tarn Reservoir, bowland, Bowland Badass, Climbs, Cycling, Strava. Bookmark the permalink. 1 Comment.